Flywheels rank among the earliest mechanical energy storage mechanisms discovered by mankind. The principle was probably first applied in the potter’s wheel, a device used to produce symmetrical ceramic containers. The millstone, a contrivance used to grind grain into flour, is another form of the flywheel. Beginning in the early years of the Industrial Revolution, flywheels found their way into various contrivances to smooth the delivery of mechanical power. In hand-looms, for instance, flywheels were used to store mechanical energy applied in pulses by the operator. Flywheels allowed the development of more complex power machines such as steam engines and internal combustion engines by enabling the delivery of constant, continuous power from a pulsating power source. Flywheels continue to have a broad variety of applications in mechanical systems. 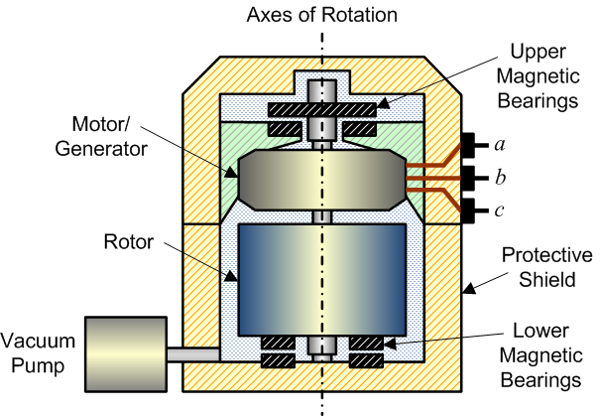 In energy storage, the principle of the flywheel can be used. Flywheels store energy in the form of the angular momentum of a spinning mass, called a rotor. The work done to spin the mass is stored in the form of kinetic energy. 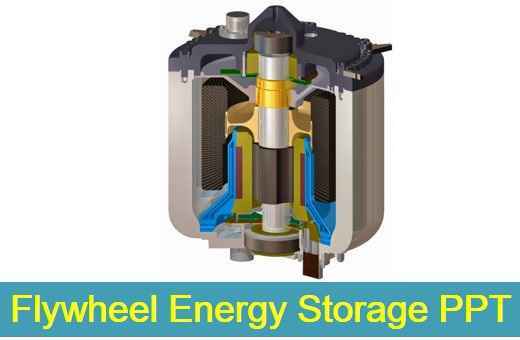 Video is a simple video that illustrates the concept of flywheel electrical energy storage. The lifetime of the flywheel is almost independent of the depth of the charge and discharge cycle. These topics are explained in Flywheel Energy Storage PPT Report with illustrated images.If you want to download the flywheel Energy Storage PPT Report then simply click the link given below. There is also given the preview and link of Flywheel Energy Storage PPT Report uploaded in YouTube. All the images used are copyright to the owners of the respective websites mentioned on the Flywheel Energy Storage PPT Report reference slide.